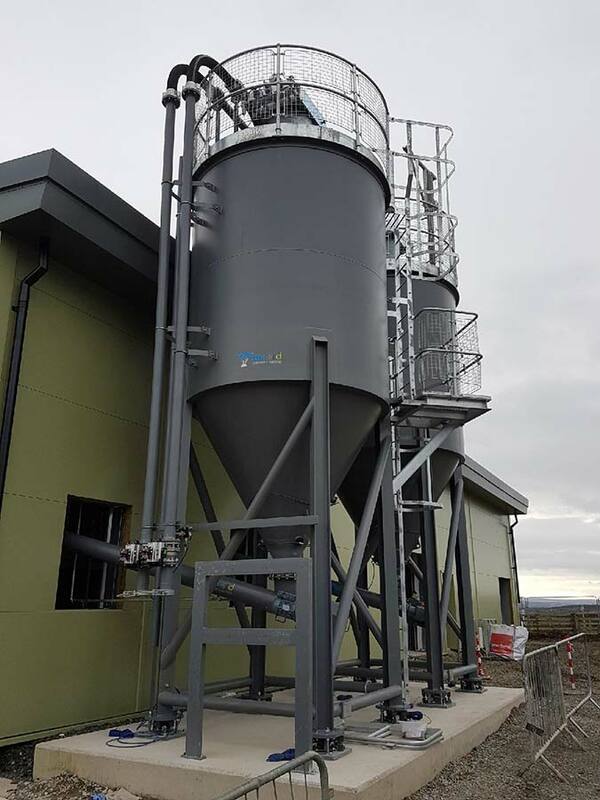 Spirotech-SRD has recently completed the design, build and installation of a sand storage & make up system in Northumberland. 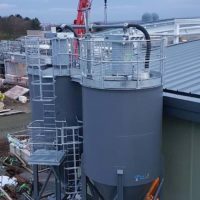 The plant, located in Horsley near Newcastle, is designed to store dry sand in two silos and then transfer to a further two tanks to produce a sand slurry (sand and water mix). 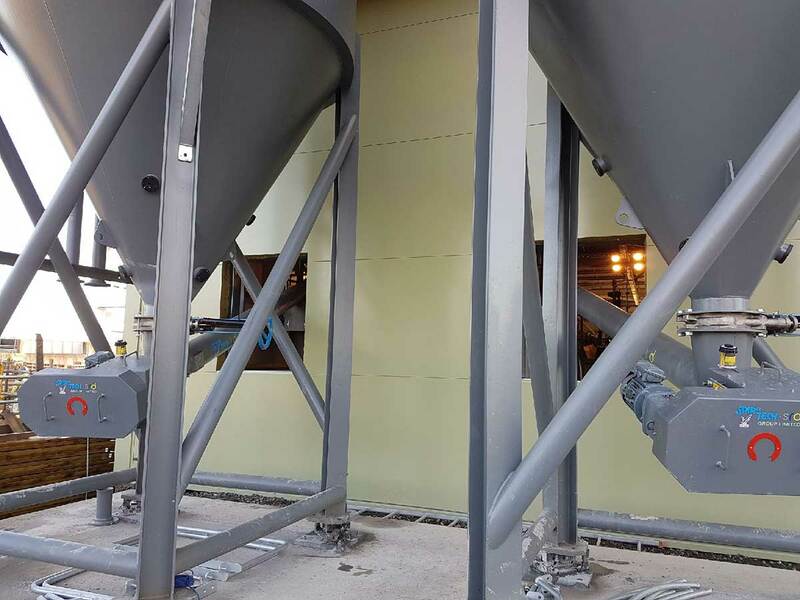 Spirotech produced two carbon steel silos each designed to store 18te of sand, filled via pneumatic road tankers. 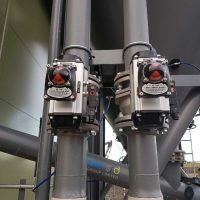 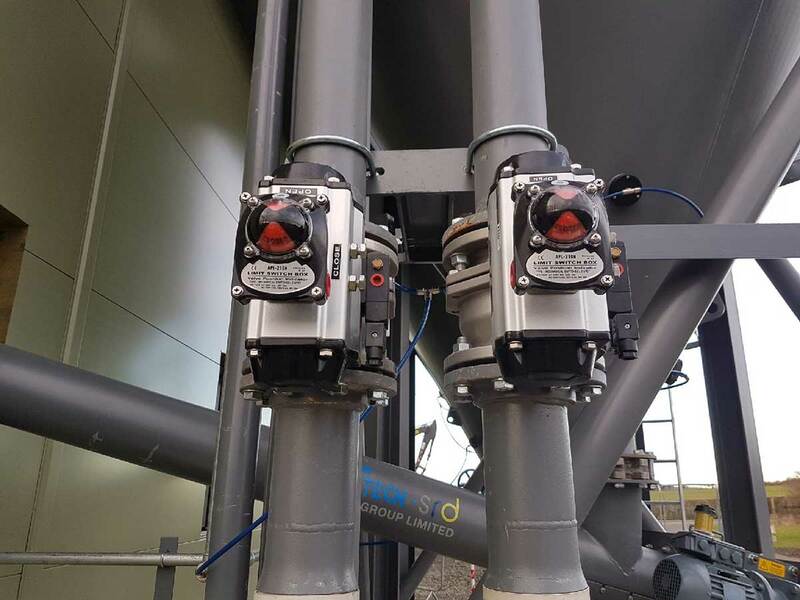 The silos are fully compliant in line with the latest HSE requirements and each feature a silo auto shut-off system to prevent over pressurising and over filling the silo. 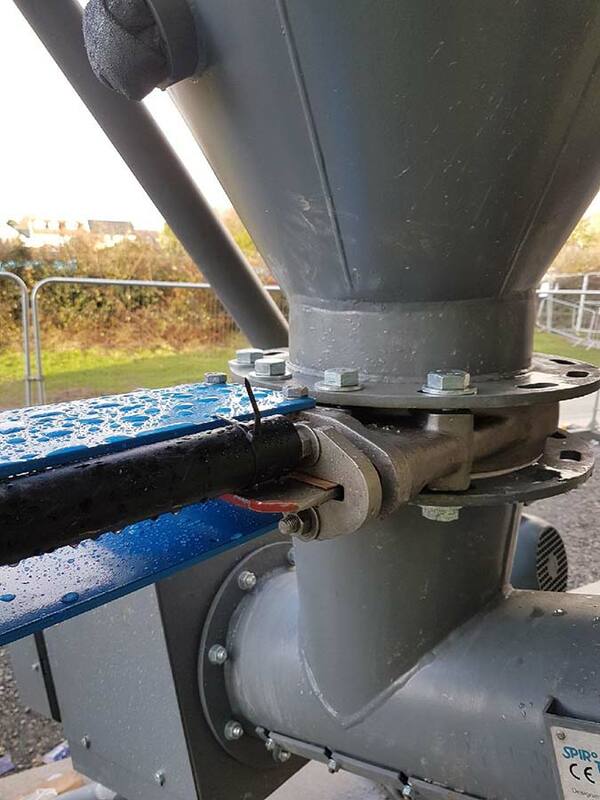 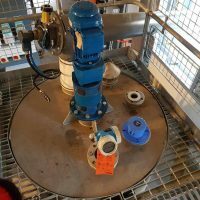 Each silo is also fitted with Spirotech’s ground level test facility to allow the pressure relief valve, high level probe and pressure transmitter to all be tested from ground level prior to each tanker delivery, negating the need for regular working at height maintenance activities. 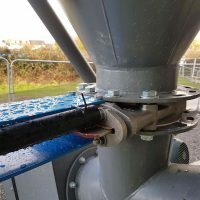 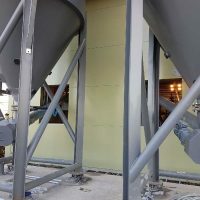 Each silo cone is fitted with an aeration system to aid flow from the silo during material discharge and a screw conveyor to meter the sand into a dedicated sand slurry tank. 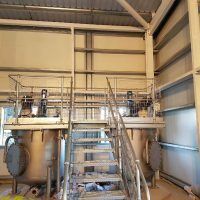 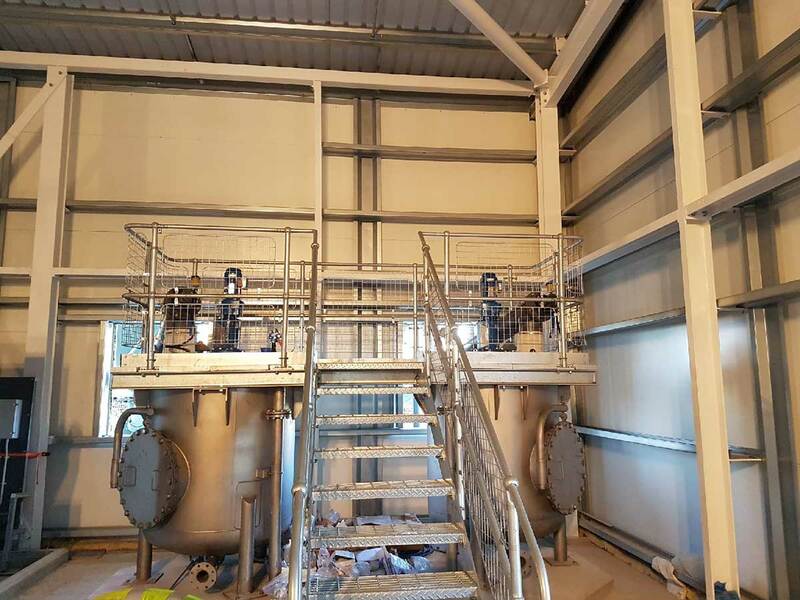 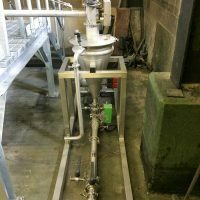 In addition, Spirotech produced two grade 304 stainless steel slurry tanks each fitted with a mixer agitator, water inlet, sand inlet and level indication to allow accurate sand slurry batches to be made up before dosing to the downstream equipment. 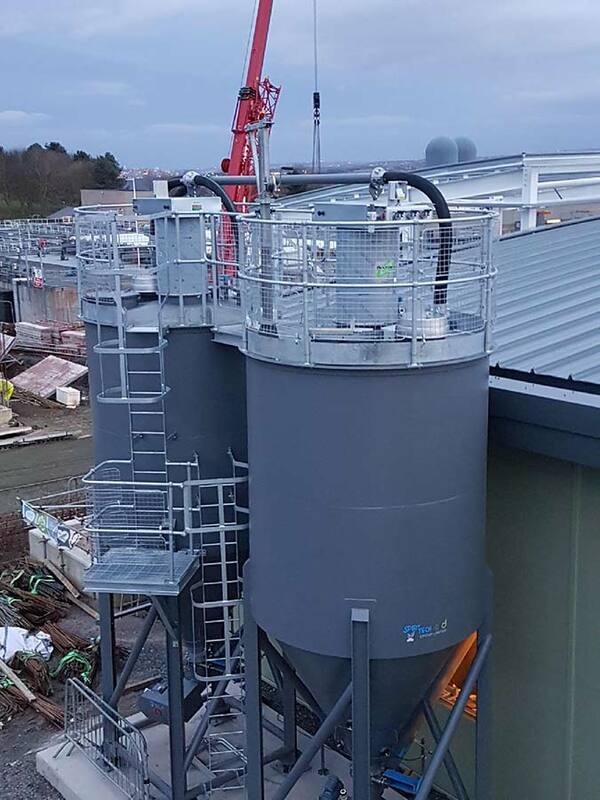 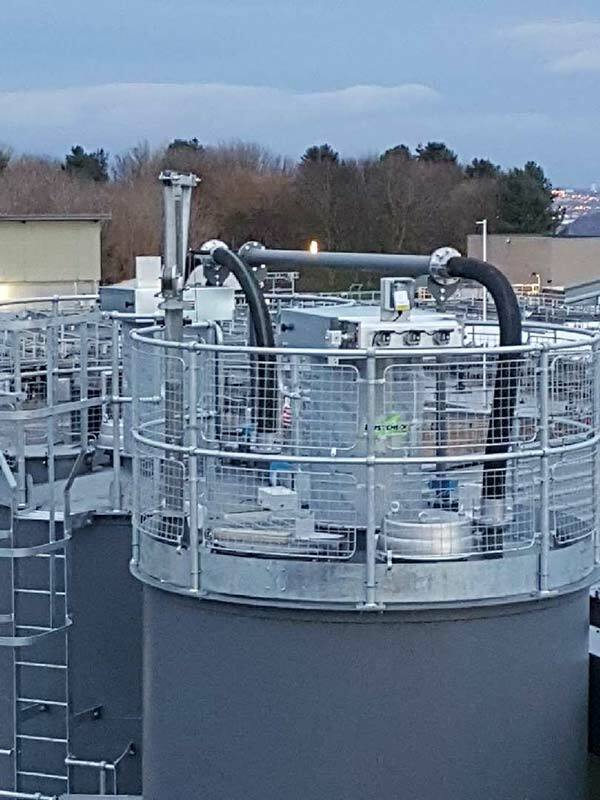 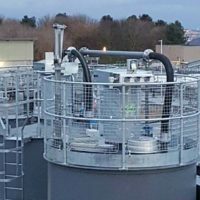 As part of the build, access stairs and platform were also fabricated in-house by Spirotech to provide safe access for regular inspection on the tank roofs. 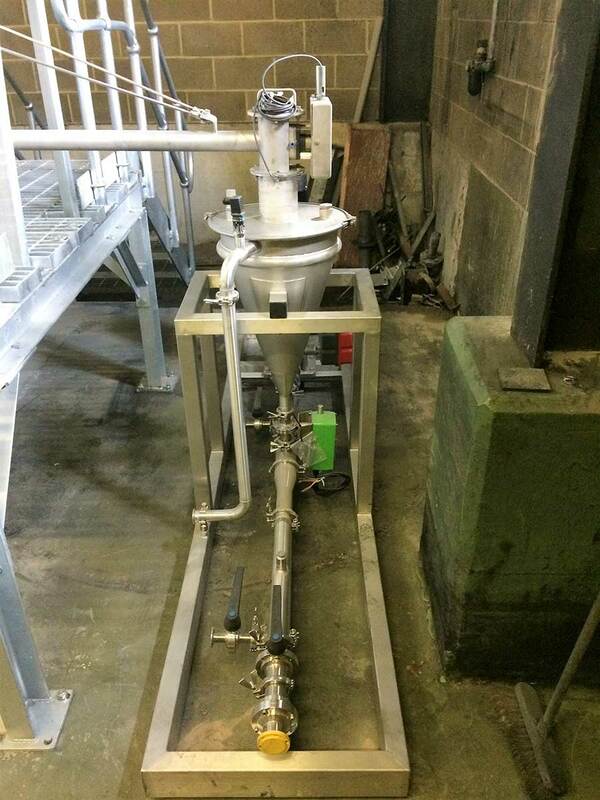 Spirotech’s experienced teams design, project manage, manufacture & supply, deliver, install on site and commission. 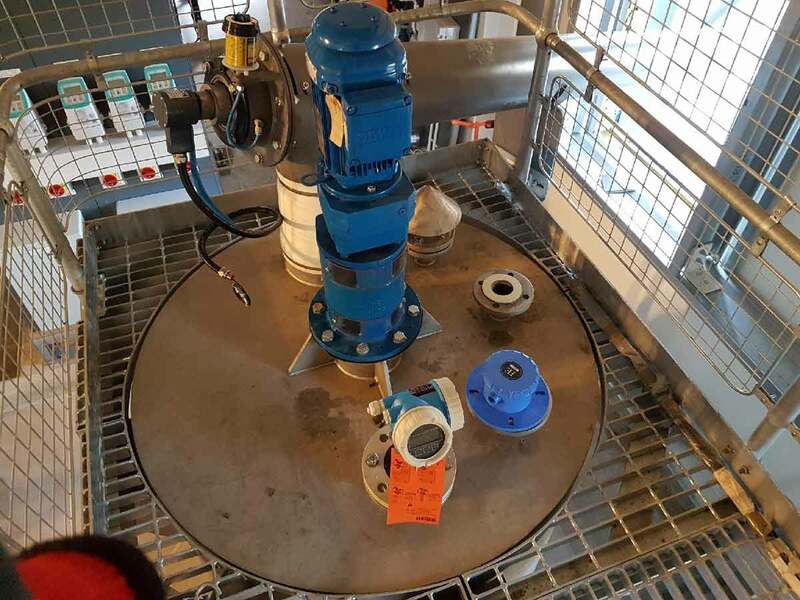 For information about any aspect of Spirotech’s scope of work, including silo manufacture and maintenance, please contact sales@spirotechgroup.co.uk or call +44 (0)1487 832 053.